?n?p?nasati (Pali; Sanskrit ?n?p?nasm?ti), meaning "mindfulness of breathing" ("sati" means mindfulness; "?n?p?na" refers to inhalation and exhalation), is a form of Buddhist meditation originally taught by Gautama Buddha in several suttas including the ?n?p?nasati Sutta. ?n?p?nasati is now common to Tibetan, Zen, Tiantai and Theravada Buddhism as well as Western-based mindfulness programs. Simply defined, Anapanasati is to feel the sensations caused by the movements of the breath in the body as is practiced in the context of mindfulness meditation. Anapanasati is a core meditation practice in Theravada, Tiantai and Chan traditions of Buddhism as well as a part of many mindfulness programs. In both ancient and modern times, anapanasati by itself is likely the most widely used Buddhist method for contemplating bodily phenomena. The ?n?p?nasati Sutta specifically concerns mindfulness of inhalation and exhalation, as a part of paying attention to one's body in quietude, and recommends the practice of anapanasati meditation as a means of cultivating the Seven Factors of Enlightenment: sati (mindfulness), dhamma vicaya (analysis), viriya (persistence), which leads to p?ti (rapture), then to passaddhi (serenity), which in turn leads to samadhi (concentration) and then to upekkh? (equanimity). Finally, the Buddha taught that, with these factors developed in this progression, the practice of anapanasati would lead to release (Pali: vimutti; Sanskrit mok?s) from dukkha (suffering), in which one realizes nibbana. • steadying, satisfying, or releasing the mind. 4• focusing only on the spot where the breath enters and leaves the nostrils (i.e., the nostril and upper lip area). The practice starts with "counting" (ganana), which consists in counting breathing from one to ten. When this is accomplished without any counting failure (dosha), the practitioner advances to the second step, i.e., "pursuing" (anugama), which means intently following the inhalation as it enters the body and moves from the throat, through the heart, the navel, the kidneys, the thighs to the toes and then the reverse movement of the exhalation until it leaves the body. Next comes "concentration" (sthapana) which denotes focusing one's attention on some part of the body from the tip of the nose to the big toe. In the fourth step, called" observation" (upalaksana), the practitioner discerns that the air breathed in and out as well as form (rupa), mind (citta), and mental functions (caitta) ultimately consists of the four great elements. He thus analyzes all the five aggregates. Next follows "the turning away" (vivarta) which consists of changing the object of observation from the air breathed in and out to "the wholesome roots" of purity (kusalamula) and ultimately to "the highest mundane dharma". The last step is called "purification" (parisuddhi) and it marks entering the stage of "realization of the Way", which in Abhidharma literature denotes the stage of "the stream entry" (Sot?panna) that will inevitably lead the adept to Nirvana in no more than seven lives. On whatever occasion the monk remains focused on the body in & of itself — ardent, alert, & mindful — putting aside greed & distress with reference to the world, on that occasion his mindfulness is steady & without lapse. When his mindfulness is steady & without lapse, then mindfulness as a factor for awakening becomes aroused. He develops it, and for him it goes to the culmination of its development. 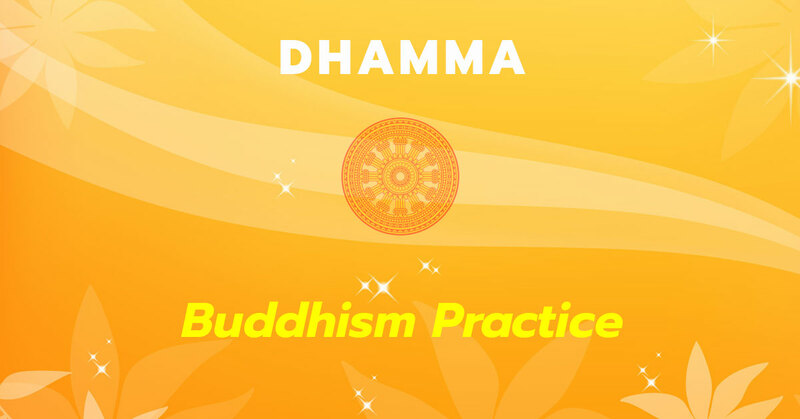 According to several teachers in Theravada Buddhism, anapanasati alone will lead to the removal of all one's defilements (kilesa) and eventually to enlightenment. According to Roger Bischof, the Ven. Webu Sayadaw said of anapanasati: "This is a shortcut to Nibbana, anyone can use it. It stands up to investigation and is in accordance with the teachings of the Buddha as conserved in the scriptures. It is the straight path to Nibbana." Anapanasati can also be practised with other traditional meditation subjects including the four frames of reference and mett? bh?van?, as is done in modern Theravadan Buddhism.